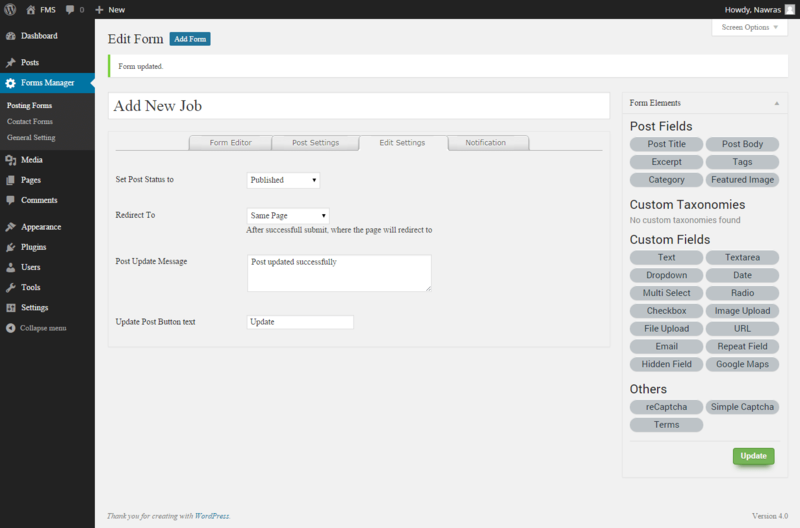 Set Post Status to: the status of the post after making changes and clicking update. Redirect To: where the user will be redirected after submitting a successful update. Post Update Message: the message that will appear after clicking update. Update Post Button Text: the label of the button.